North Chattanooga sits on the north shore of the Tennessee River, across from the Tennessee Aquarium and the Revitalized Riverfront. North Chattanooga is an eclectic neighborhood with boutique shops and local eateries. 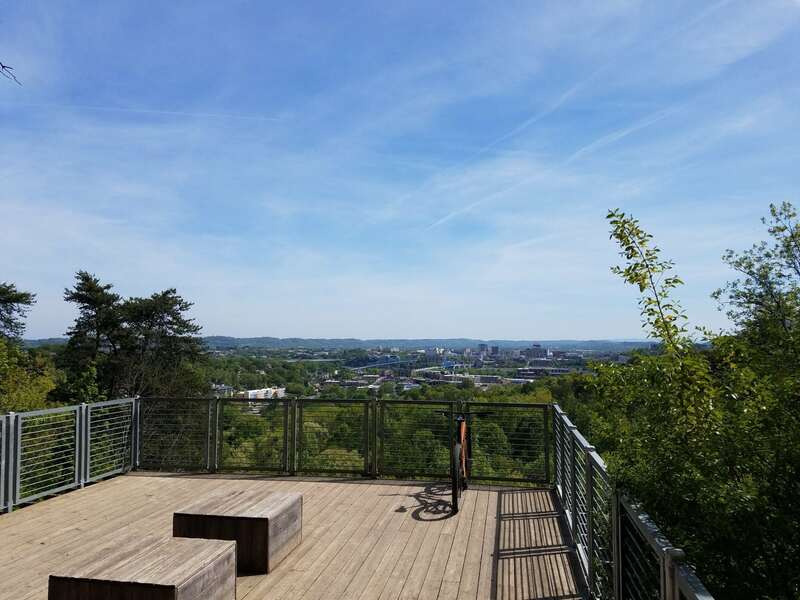 It’s home to Outdoor Chattanooga, Coolidge and Renaissance Park, the Carousel, Walnut Street Bridge, and Stringer’s Ridge, a 92-acre pocket wilderness park with 6 miles of hiking and biking trails. 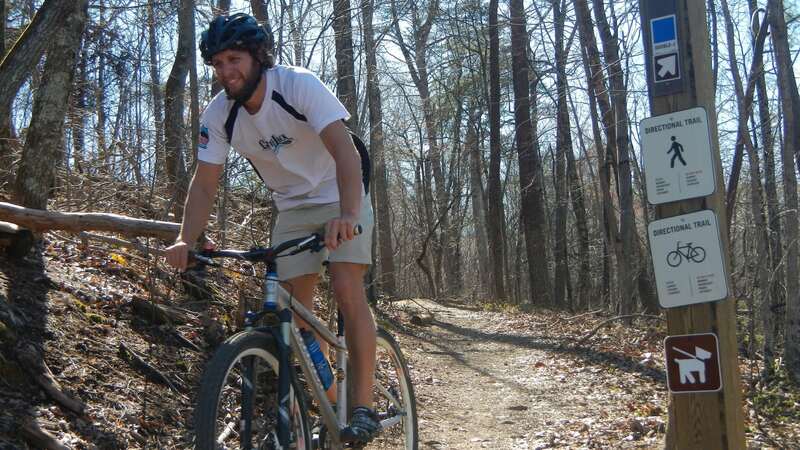 North Chattanooga is a great place to explore by foot, bike or watercraft. 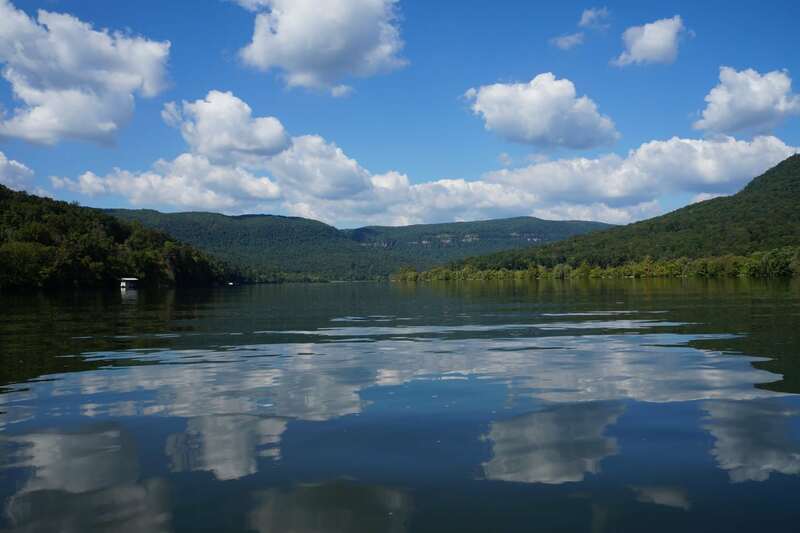 There are two canoe/kayak launches in Coolidge Park for paddlers to access the Tennessee River Blueway and paddle around Maclellan Island or downstream around Moccasin Bend. 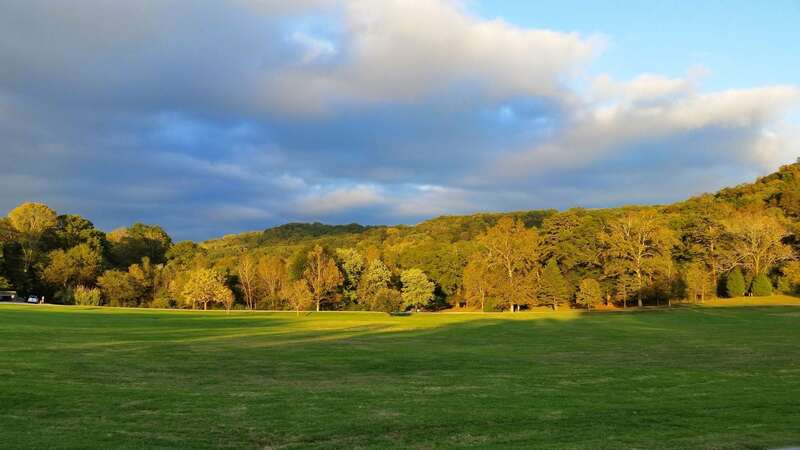 North Chickamauga Creek and the City of Chattanooga’s Greenway farm park offer family friendly trails, a dog park and paddling on the quiet creek. 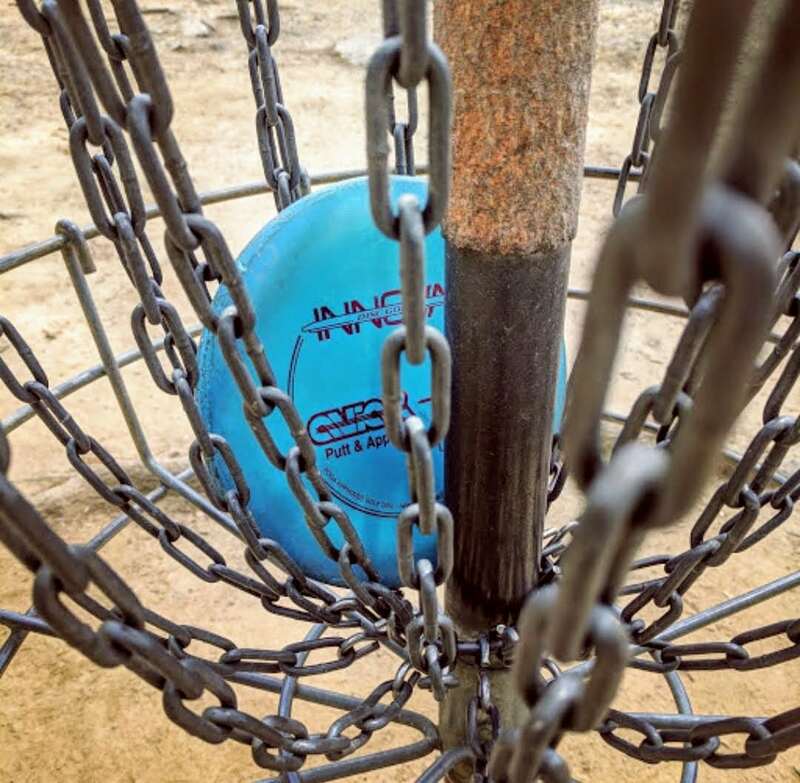 Try your hand at disc golf at Chattanooga’s premiere disc golf course, The Sinks. Be sure to stop by Outdoor Chattanooga to say hi, ask questions and get information about all the awesome outdoor activities available in the Scenic City. Located on the banks of the Tennessee River just across from downtown Chattanooga, the Moccasin Bend National Archaeological District is easily accessible from I-24. 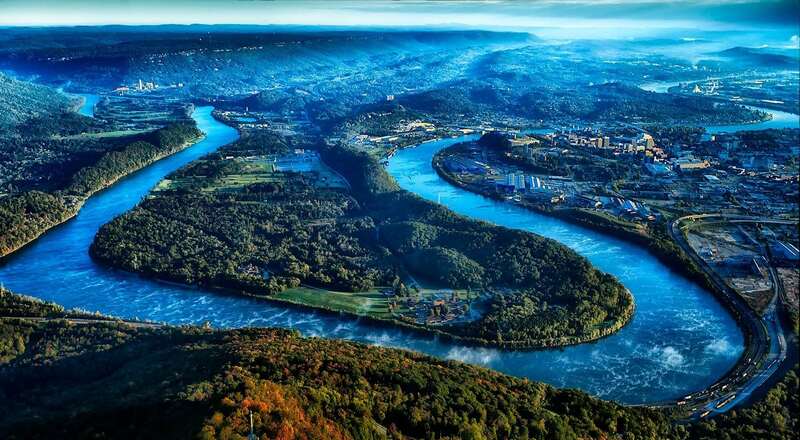 Named by Native Americans for its distinctive boot shape when viewed from the bluff of Lookout Mountain, Moccasin Bend can trace its human history back 12,000 years. Added in 2003, the Bend is the newest unit of the Chickamauga and Chattanooga National Military Park. There are two easy trails suitable for family outings and trail runners seeking an off-road option close to downtown. 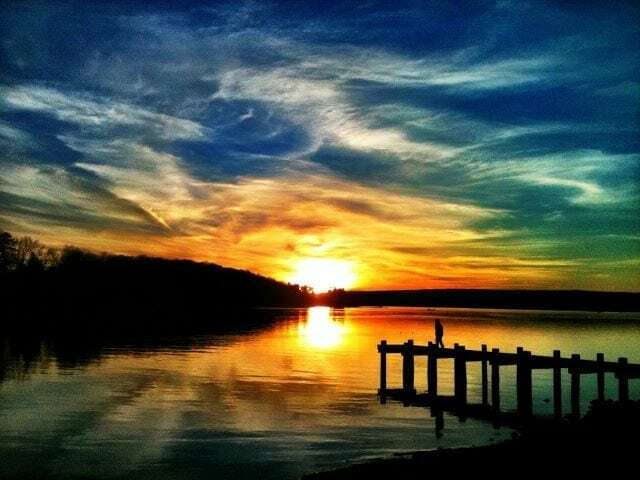 The 3-mile Blue Blazes trail loop or the 1.2-mile out and back Brown's Ferry Federal Road trail are best to visit during fall and winter to avoid the swampy low lying areas that occur in the rainy spring and summer months. 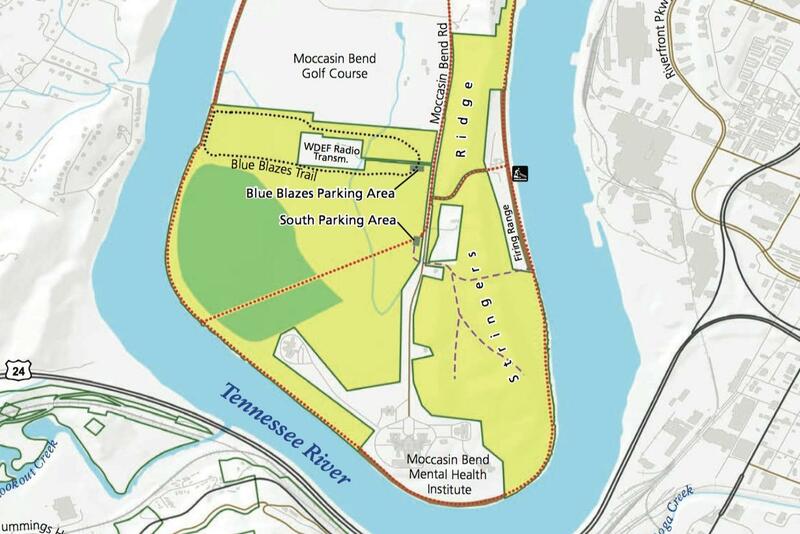 Moccasin Bend is a popular road biking destination that takes cyclists through a busy industrial area before transitioning into a scenic, green peninsula that is heavily populated by deer and wild turkey. The ride is best early in the morning or in the evening after rush hour has cleared. The back half of the loop runs through a residential area before spilling onto Cherokee Blvd., through the Stringers Ridge Tunnel for a fast downhill finish back into town. The route is well suited for adults and older teenagers who want to begin riding on trafficked roads or who desire a shorter, scenic route close to downtown. 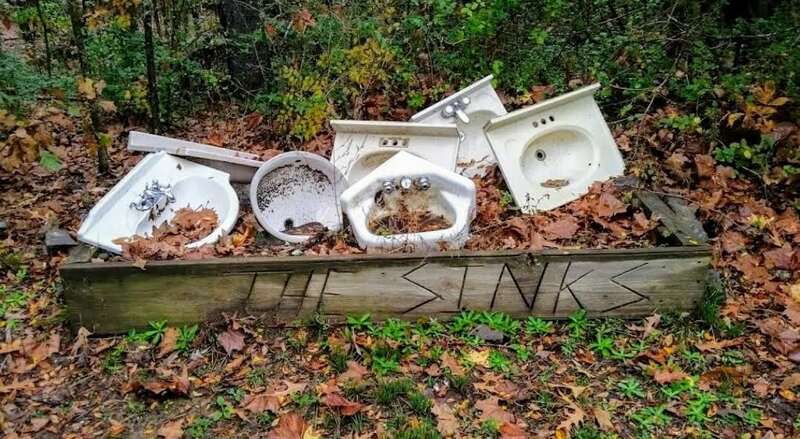 Stringers Ridge is a 92-acre urban wilderness park located in the heart of North Chattanooga. The ridge overlooks the North Shore, the Tennessee River, and downtown Chattanooga's revitalized waterfront. There are 7 miles of multi-use trails for both bikers and pedestrians, with some spur trails designated as foot-traffic only. The trail terrain consists of well-groomed singletrack with rolling hills and some short steep sections. Some of the trails are beginner friendly and family oriented, allowing for a leisurely stroll, while other sections are designated for more experienced hikers and bikers. 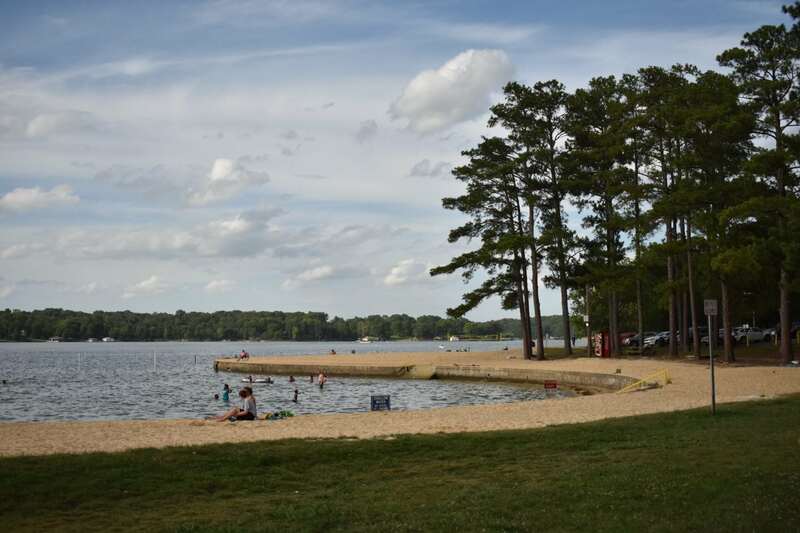 The park has two trailheads; one on the south end on Old Bell Avenue, the other is on the north end located on Spears Avenue, which has ample parking, restroom facilities, a bike repair station and a pump track. An outlook structure was added near the top of the ridge to provide a spectacular view of the city. The park is a result of a citizen-based effort to preserve one of the last large natural areas within the City of Chattanooga limits. 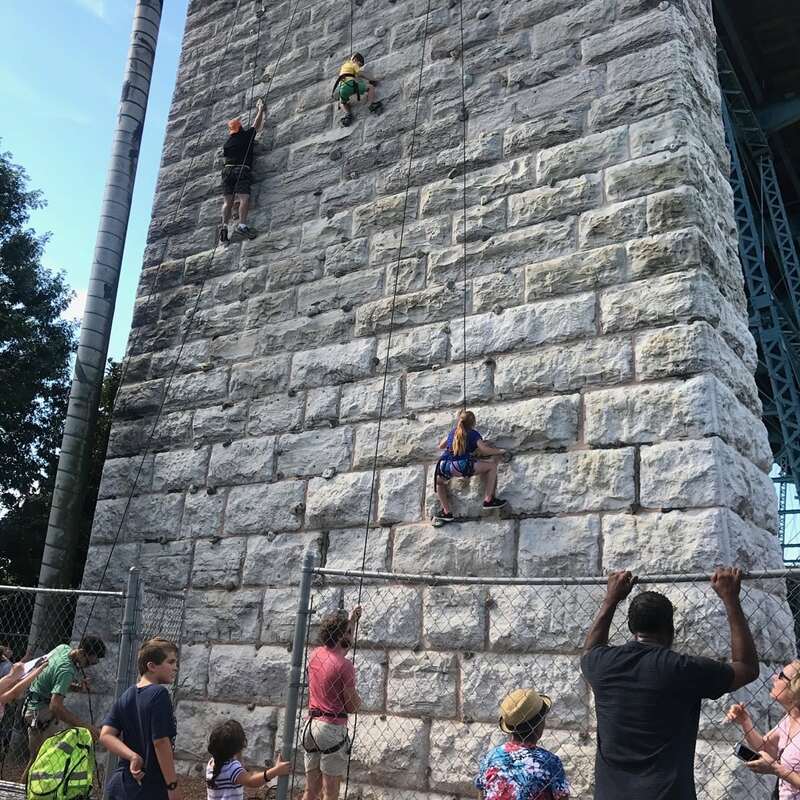 Over the course of almost three years The Tennessee River Gorge Trust, the City of Chattanooga and The Trust for Public Land lead this project from conception to completion. SORBA Chattanooga assisted by coordinating trail construction days and providing tools as well as training volunteers for continued trail maintenance. Located on the north shore of the river, the City of Chattanooga’s Walnut Wall overlooks the Tennessee River from a 50′ high limestone pier of the historic Walnut Street Bridge in Coolidge Park. The wall is equipped with fixed holds and offers beginner-friendly top roped climbing in a relaxed outdoor setting. 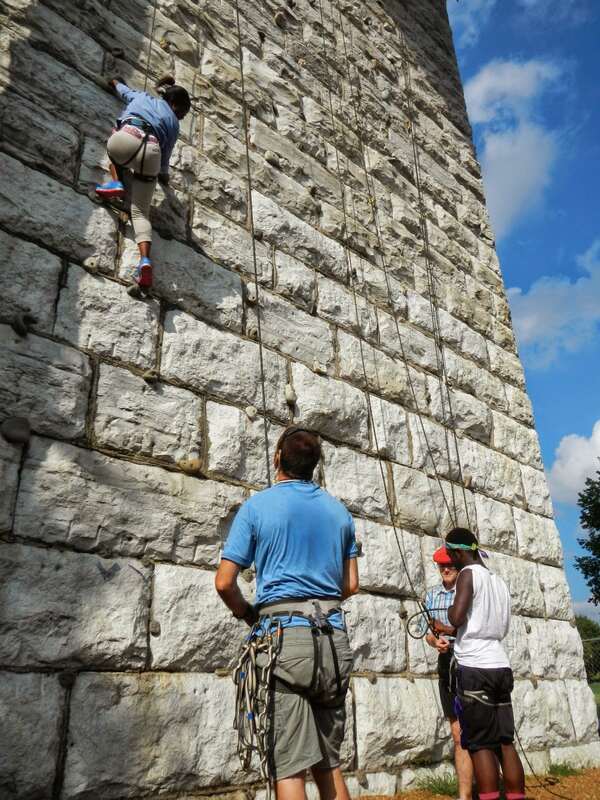 The Walnut wall is used to host special climbing programs and activities through Outdoor Chattanooga and serves as a training ground for new student climbers with Chattanooga Area Interscholastic Climbing League. On occasion, the wall is open to the public for climbing. To see scheduled programs, visit our Events Calendar.